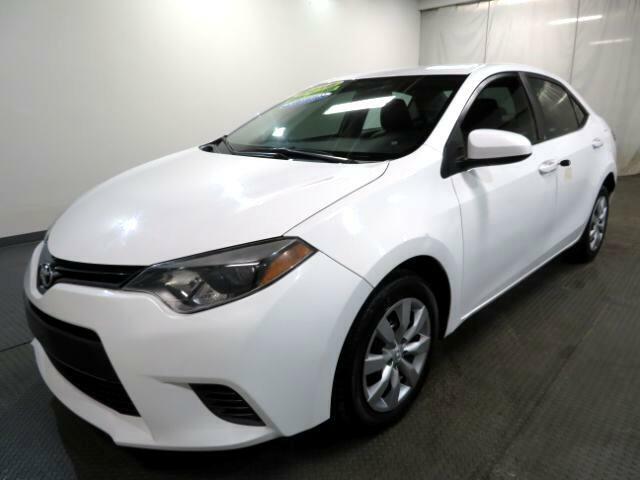 Many of the current Corolla''''s strengths can be found inside. The overall design is fresh and brings, dare we say it, a stylish edge to the traditionally staid small sedan class. The interface for the infotainment system is easy to use thanks to clear displays and well-placed controls. We also like the Corolla''''s rear seat that provides more legroom than many midsize sedans. Add the Corolla''''s laudable crash-test scores, high fuel economy and exceptionally high resale value and you have all the ingredients for a car that pleases more than it dismays. Just keep in mind that if you value driver engagement, those reviewers are right -- the Corolla is hardly inspiring from behind the wheel. More dynamic alternatives include the sophisticated and similarly fuel-efficient Mazda 3 and the frugal yet fun-to-drive Ford Focus. Although the Hyundai Elantra isn''''t that sporty, it offers ample style at an attractive price, and the always-popular Honda Civic and Volkswagen Jetta have been remade into strong all-around contenders. But the Toyota still earns a solid Edmunds B rating. Other small cars may steal the headlines, but don''''t let that distract you from the 2016 Corolla''''s fundamental competence. ***Internet special. Price reflects discount for cash buyers. Traditional and special financing is available for qualified buyers. Please contact us first for availability as our cars go fast at near wholesale prices. Prices are subject to change. Sales Tax, Title, License Fee, Registration Fee, Dealer Documentary Fee, Finance Charges, Emission Testing Fees and Compliance Fees are additional to the advertised price. All options and conditions of the vehicles must be verified with the dealer, any descriptions or options that are listed maybe incorrect due to automatic data transfer. Message: Thought you might be interested in this 2016 Toyota Corolla.